In this addon, you can add your slider items with a lot of customization options. It’s 100% responsive and smoothly works in all device. You can change image size, slider height, content alignment from here. In this tab, there is a huge option to change the settings of the slider items. 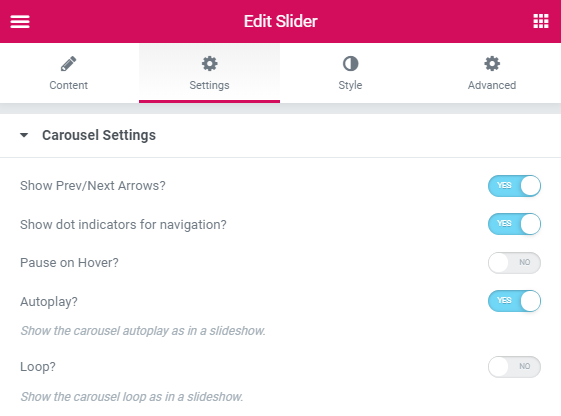 All the slider settings like Loop, Autoplay, Navigation, Pagination, etc. are available here. 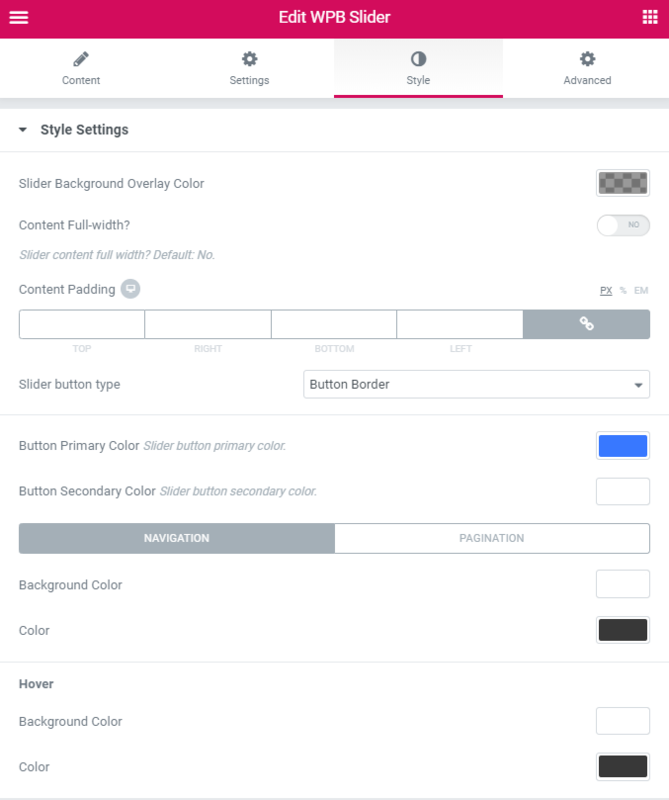 In this tab, you can change the style of the slider items. You can change the color/hover color of the navigation, pagination, button, content padding, slider overlay as you want.